Sailors from Luanda, Angola enjoyed two days of racing in Luanda Bay over the weekend of 5-6 February for their 470, 420, Laser and Optimist fleets as part of celebrations recognizing the 50th Anniversary since the beginning of the struggle towards national liberation. 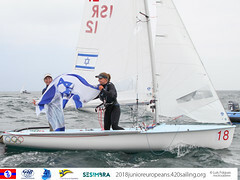 For the 470 and 420 fleets, this was their first "official competition" since the 470 and 420 Training Clinic hosted by both classes in early October 2010. The Clinic delivered a week of training, consisting of a mixture of on-water practice, supported by shoreside and classroom theory, with daily briefings and video debriefings from Pedro Rodrigues (POR). Reflecting this development in skills, both the 470 and 420 fleets saw a range of crews securing top three results – which was a great display of competitive ability in the fleets. The seven strong 470 fleet contested a 5 race series with one discard in perfect wind conditions, which ultimately saw victory go to Francisco Rodrigues and João Nangolo, with Mauro Afonso and Fábio da Silva in second and Edilio Torres and Manual António in third. 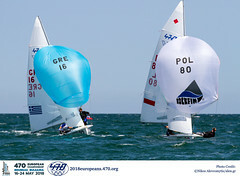 Sixteen teams contested the 420 fleet, which saw a signicant points margin achieved by the first placed Matias Montinho and Paixão Afonso. The pair secured a string of top three places to finish 6 points ahead of Willian Texeira and Eduardo Torres. In third were Gilson Tenazinha and João Montenegro. 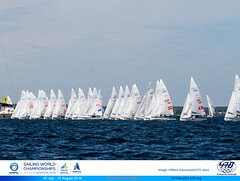 The event was organized by the Federação Angolana de Desportos Náuticos in partnership with the sailing clubs of Luanda. The 470 and 420 Class development is part of a strategy by the Clube Naval de Luanda and Clube Náutico da Ilha de Luanda to invest in a structured pathway towards Olympic competition for Angola, which already has a well-developed Optimist Class. Last year the two clubs made a major investment, between them purchasing twenty 420s and ten 470s.